As I mentioned in my last post. 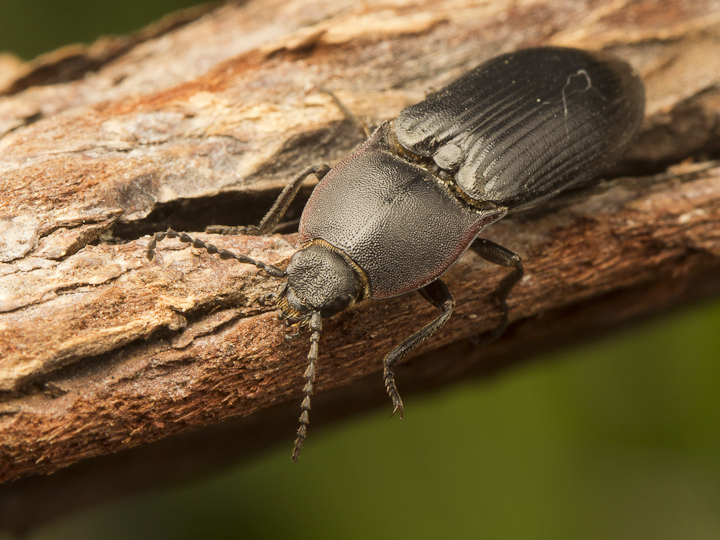 Catherine and I are working late nights observing black widow behaviour, so I do not really get the opportunity to go out at dawn as much as I normally like to. We have begun to take Friday and Saturday nights off, however, so assuming I can get my sleep schedule quickly reorganized, dawn shoots are possible! This morning, I went out to Mt. Tolmie, in the hopes of seeing a spectacular dawn. 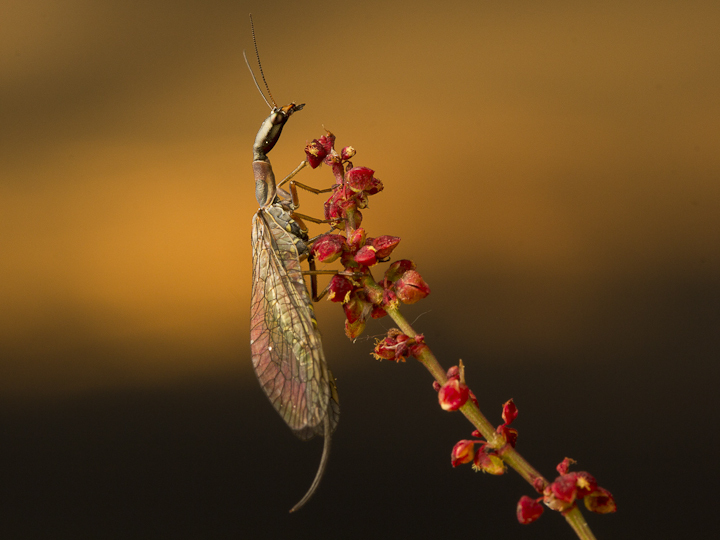 Unfortunately, the light and colour were a bit subdued, but I did manage to get some snakefly photos with some colour in the sky. Imagine this, but with a blazing orange sky, and some direct sun peeking through the wings….Someday! 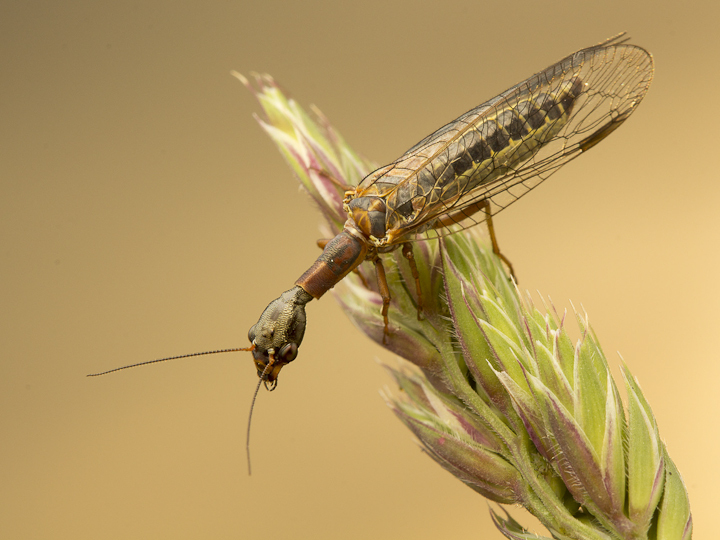 I also found a fat male snakefly! 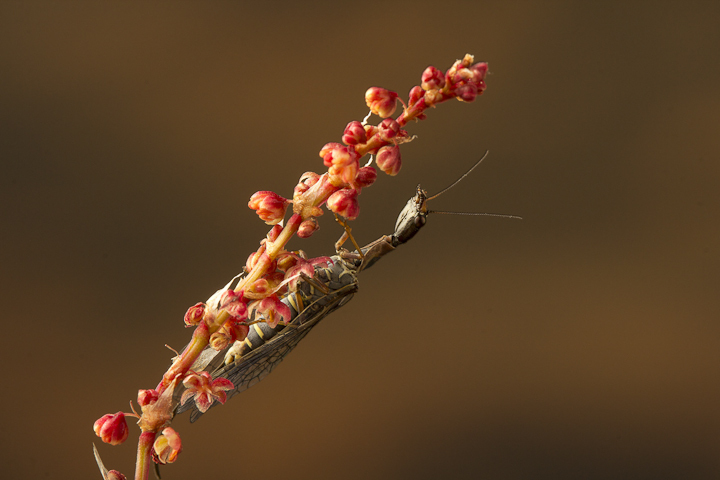 Snakeflies were about all that was on offer at Mt. Tolmie, so after breakfast I headed down to Dallas Road, on the shore near Beacon Hill Park. 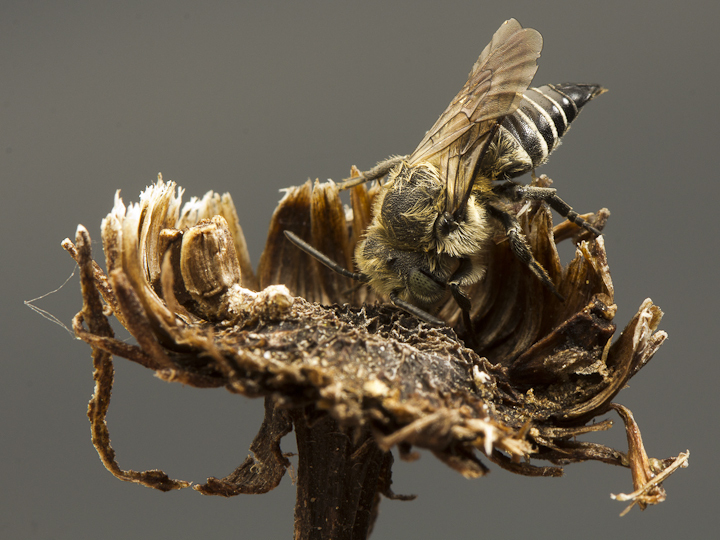 I knew of an Anthophora bomboides colony, and hoped to get some pics of them waking up. 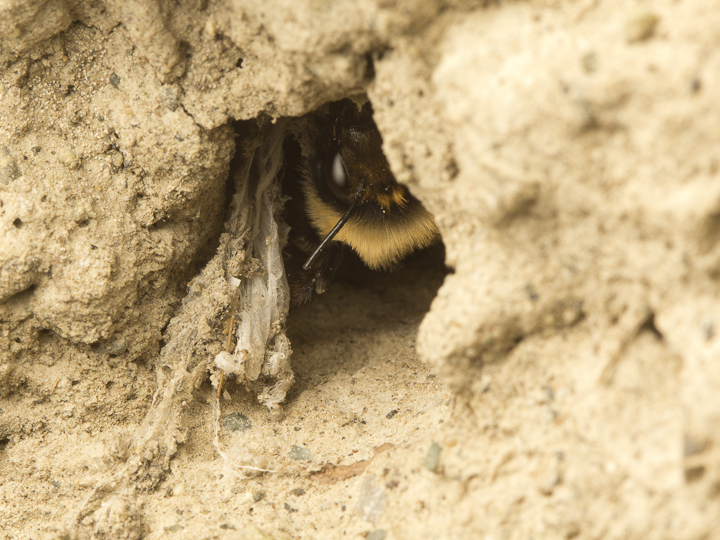 Anthophora bomboides makes these little turreted nest holes in the eroded banks above the sea. 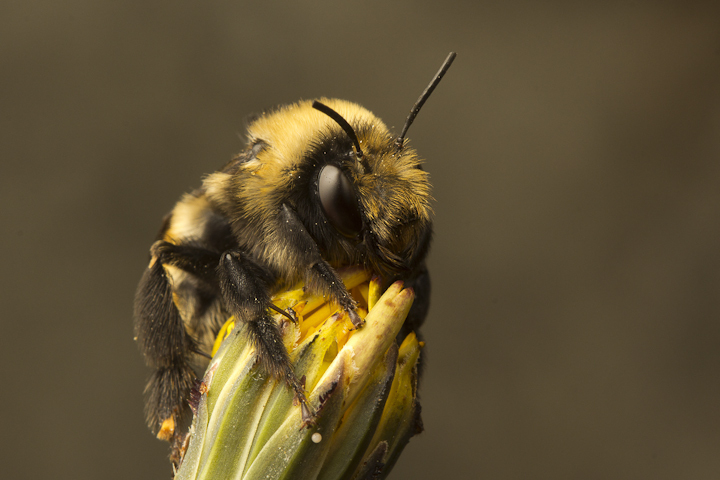 Right in front of me, a male grabbed and attempted to copulate with this female. 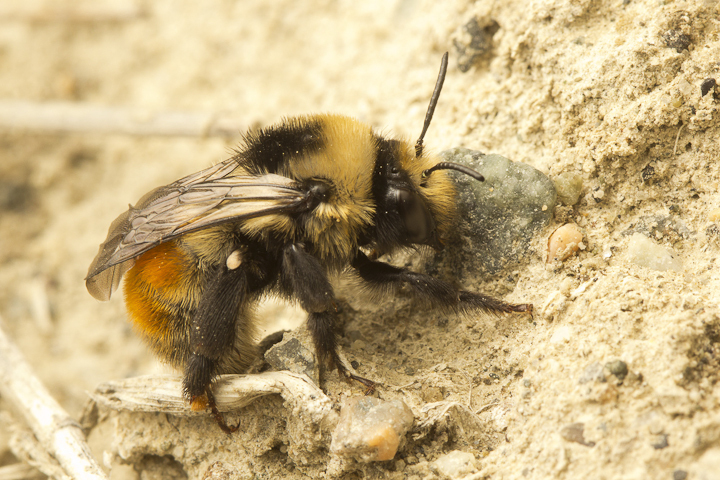 I didn’t get the male in the shot, but here is the female looking stunned on the ground. The female is recovering from her whirlwind romance. 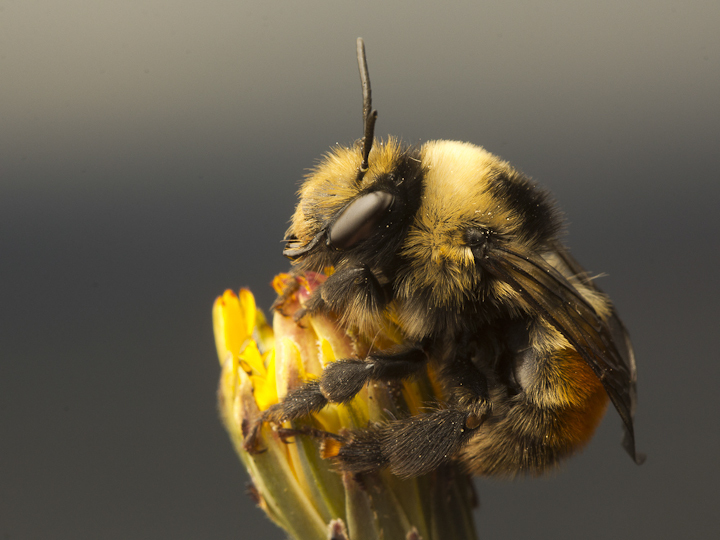 You can see where hey get the specific name “bomboides“, as they look very similar to local bumblebees. 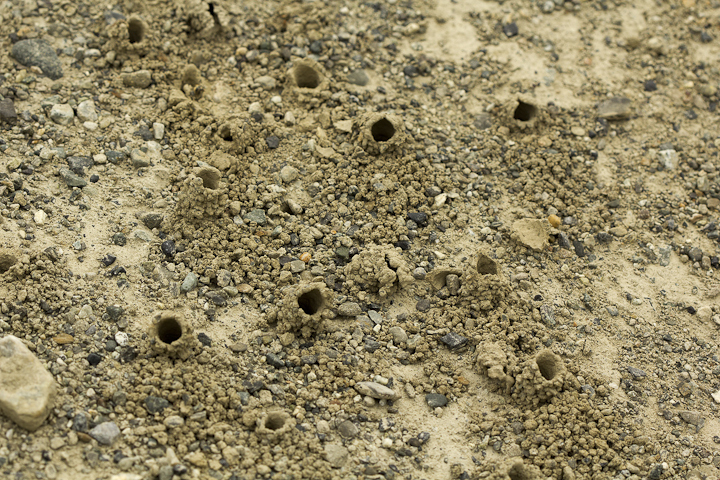 Picking my way along the shore, I came upon my first sleeping Coelioxys of the season! 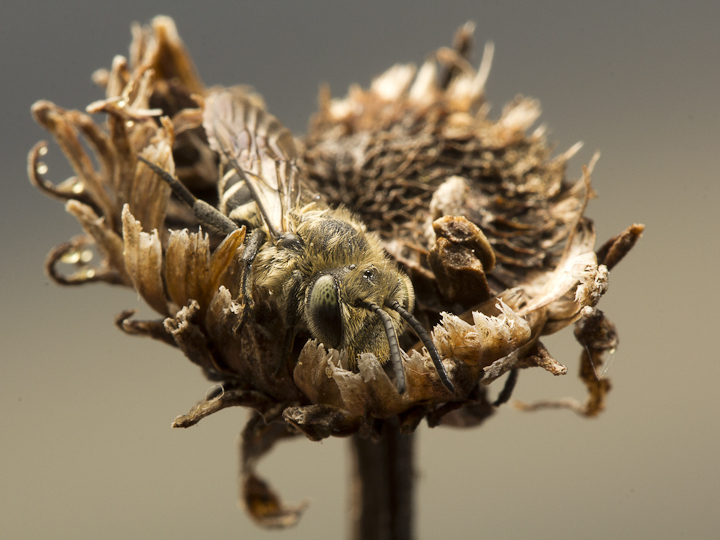 These sleeping bees make fine subjects, as it takes them a long time to warm up. 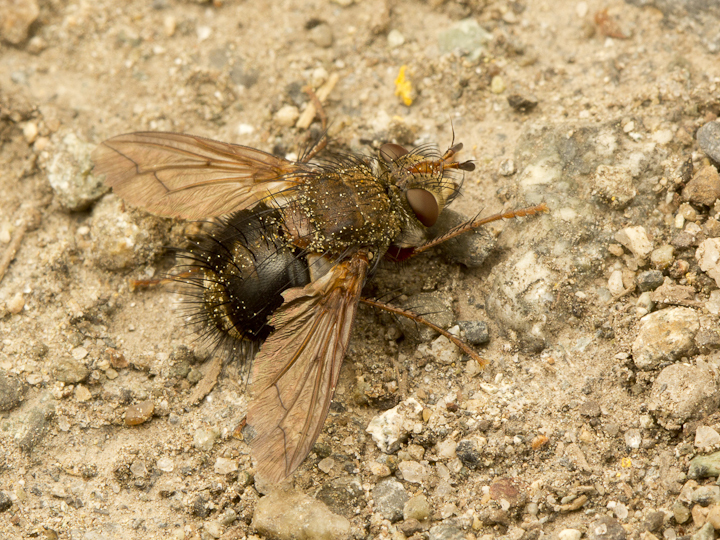 Above the cliffs, in the Garry Oak meadow, I found this bristly tachinid fly. I also found one of my favourite elaterids, Selatosomus edwardsi. 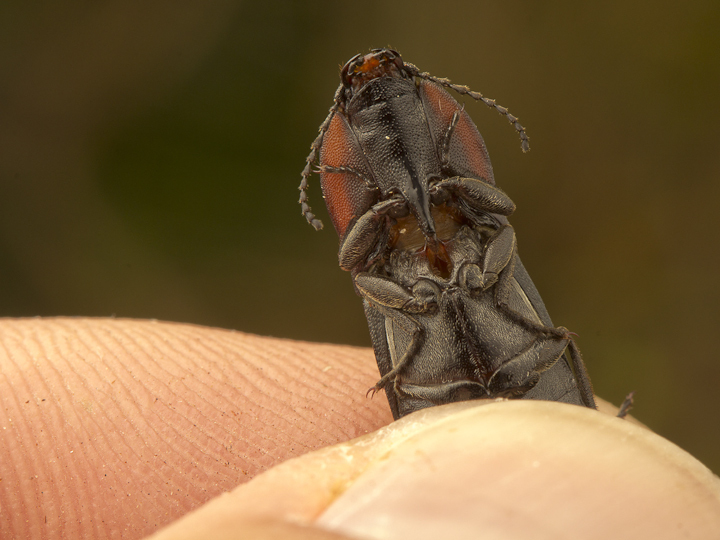 These beautiful click beetles are large and robust. 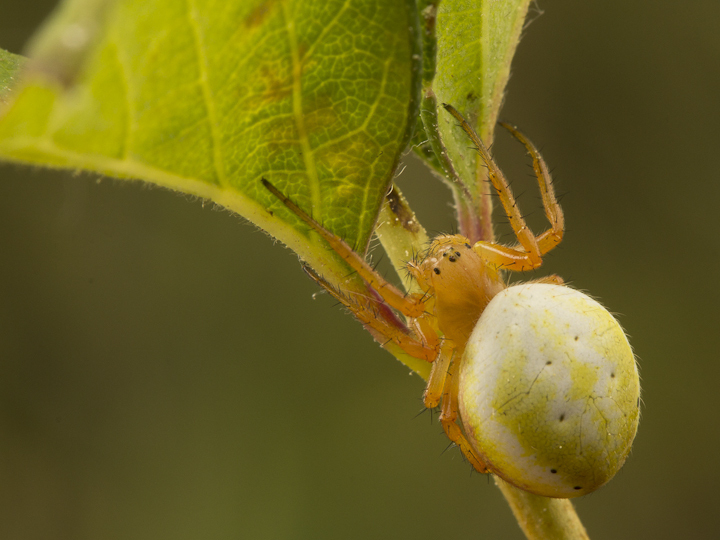 In a snowberry bush I found this beautiful and delicately coloured Araniella displicata. 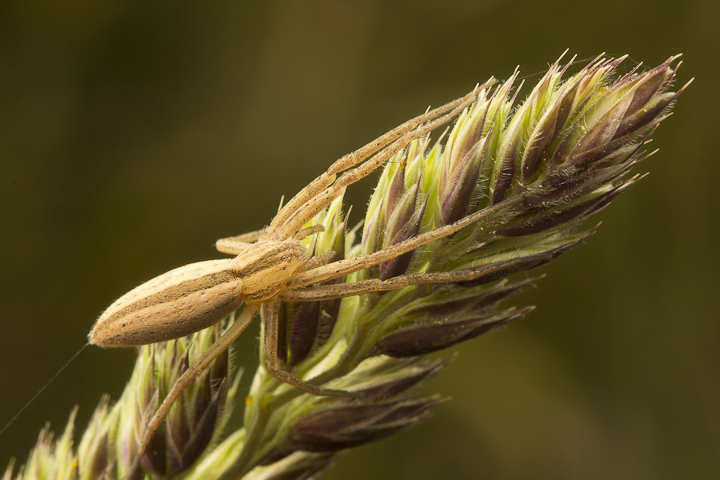 And to cap off a very productive morning, I ran into one of my favourite running crab spiders of all time, Tibellus oblongus! Good work, and as usual, very well-presented and interesting. Good work, and as usual, vert well-presented and interesting.